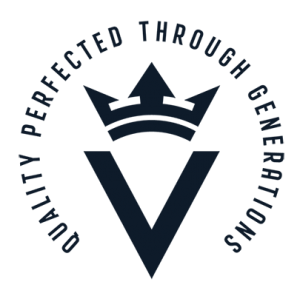 At Vesteraalens AS we are committed to produce fresh omega-3 fish oils with the lowest oxidation levels to maintain the nutritional value and to assure a superior taste quality. We truly believe a omega-3 fish oil can and should taste absolutely fresh! The oil produced from the fresh raw material of Arctic cod (Gadus morhua) is characterized by a high content of healthy omega-3 long chain polyunsaturated fatty acids (LCPUFA), the most important being EPA and DHA. These valuable fatty acids which are key for the nutritional value of marine oil are also very sensible to oxidation. Oxidation in turn leads to a decrease in the nutritional value and to the development of unpleasant flavors such as fishiness and rancidity. Control over oxidation is the most important aspect of the production and shelf-life of dietary supplements, functional foods, and pharmaceutical preparations containing omega-3 LCPUFA (GOED, 2017). The freshness of the raw material combined with know-how, allows Vesteraalens AS to live-up to its quality standards. As an illustration of our commitment, Figure 1 shows the oxidation levels in over 100 refined omega-3 fish oil batches from our 2012 to 2017 production years. These oxidation levels are far below key regulatory standards related to fish and vegetable oil (cfr. Table 1) and even exceed the expectations of the highest industry standard as set by GOED’s Voluntary Monograph. GOED , known as the Global Organization for EPA and DHA Omega-3s, ensures that the industry is producing quality omega-3 products that consumers can trust. Oxidation levels are measured analytically by the presence of primary and secondary oxidation products, derived from oxidation of the LCPUFA, such as EPA and DHA. Vesteraalens AS peroxide levels (PV) are below 1 meq O2/kg and p-anisidine levels (p-AV) are between 1 and 3. Whereas the standard of the GOED’s Voluntary monograph sets maximum limits of a peroxide value (PV) < 5 meq O2/kg oil and a p-anisidine value (p-AV) < 20. Our average totox level is 2,7! At Vesteraalens AS we master control over oxidation in the production and refining of our omega-3 fish oil. Since oxidation can increase over time, it is equally important to maintain low oxidation levels over the entire shelf life of the product to assure a remaining high nutritional value and sensory quality. As illustrated in Figure 2 Vesteraalens AS refined omega-3 fish oil has a remarkable stability up to 2 years in cold storage. Figure 1. Oxidative Status (PV &. p-AV) of Vesteraalens AS refined cod liver oils (produced in 2012 – 2017) vs. selected regulations and a recent market overview (PV 2,66 ± 0,08 meq O2/kg; p-AV 7,45 ± 0,81 by De Boer et. al., 2018). Figure 2. Evolution of oxidative status (PV & p-AV) in Vesteraalens AS refined cod liver oil up to 2 years cold storage vs. selected regulations. Critics have been addressed to consumer products appearing on the shelf with oxidation levels close to or above the set specification standards (cfr. Table 1). Vesteraalens AS actively supports GOED to further reduce the oxidation limits for ingredient manufacturers. With the quality of Vesteraalens AS refined omega-3 fish oil, producers of consumer products are offered an additional safety margin under processing (of capsules, bottles, or other formulations) allowing the finished products to stay within the regulated oxidation limits expected over the entire shelf life. Table 1. Oxidation parameter upper limits from key regulatory standards and monograph guidelines related to fish and vegetable oils (based on De Boer et. al., 2018).